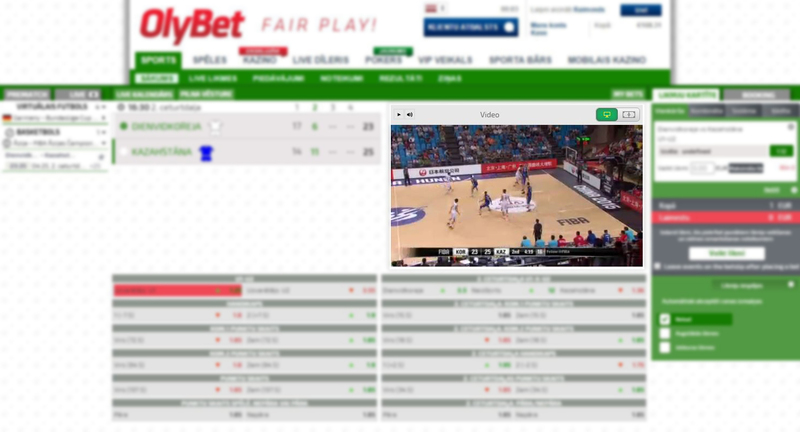 To make Your sports betting experience even better, we introduce OlyBet LIVE TV. Starting from today You can watch over 7000 live streams a year. Wide variety of different live sports and leagues will make betting even more exciting. All live streams are with comments and in HD. In addition to the new LIVE TV OlyBet also have special offers for the LIVE TV matches. OlyBet, like Rome, isn’t built in a day – we add something new all the time! 10+ national champions leagues: England Championship, Italy Serie B, Russia 1st Division, Norway League, Finland Veikkausliga, Latvian Virsliga. 10+ national cups: Copa America, Capital One Cup, Coppa Italia, French Cup. ATP1000 & ATP500 live matches. Over 700 WTA matches in over 170 countries allover the world. Australian Open & Wimbledon live matches. Davis Cup & Fed Cup full live tournament. NBA regular season matches, playoffs and cup matches. All FIBA operated tournaments: EuroBasket, World Cup and friendly matches. Sweden SHL league live matches. Useing OlyBet LIVE TV is simple – all You need is an OlyBet account and at least €0.01 on Your account. To watch LIVE TV go to the LIVE BET section and click on the button. By clicking the PLAY button all the ongoing and soon starting LIVE matches will appear. To make the selection more efficient, the sports are put in a filter.